Sonoff S26 is a WiFi smart plug with EU/US/UK/CN/AU standard. Users can instantly convert any plug into a smart outlet with a convenient timer function that works on user's smartphone. 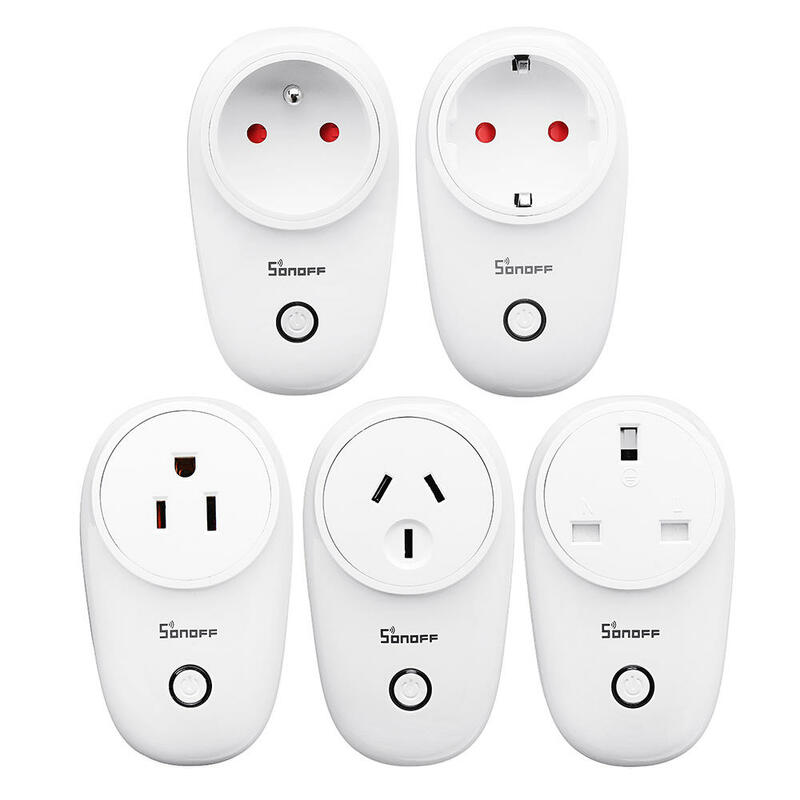 With this smart socket, you can turn on/off any connected device either on the APP eWeLink or by pressing the manual control knob of the WiFi plug. It allows you to set countdown/schedule/loop timers to auto-turn on/off the WiFi controlled outlet on App. You can share the WiFi plug with your family so that you can control together. Just plug and take a minute to setup, you'll be able to control your lighting and home appliances from anywhere at any time.